Dan Auerbach "My Last Mistake"
So we just happen to be on a major soul music kick recently. We've been rocking some Staple Singers, Betty LaVette and numerous Eccentric Soul records. Not to mention, we've been spinning the Stanley Brothers' Sweeter Than the Flowers pretty hard of late as well. 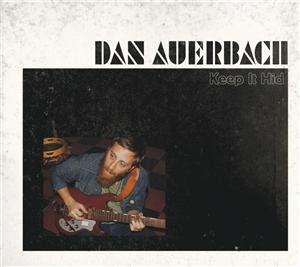 So when we read the PR about the new Dan Auerbach record Keep It Hid, we were psyched. While we're checking the box every day for the advance, (hopefully today) the first sample of the record sounds pretty tasty. Black Key Auerbach has been all over recently, most notably producing Jessica Lea Mayfield's lovely record With Blasphemy So Heartfelt. We've managed to put aside our differences and have come around on Those Darlins who will be touring with Auerbach over the coming months. Dates after the jump. On his solo debut, Black Keys singer and guitarist Dan Auerbach takes a simple approach: "I just wanted to do the things I loved." For Auerbach, that means combining elements of bluegrass a la the Stanley Brothers, mournful country balladry, Memphis-style R&B, fuzzed-out psychedelic rock and low-down blues on this collection of 14 original tunes, which Auerbach self produced and recorded with friends and family at his newly built studio, Akron Analog. "It's all just soul music," he says, and Keep It Hid is soulful indeed. wait, after all that you managed to "come around" on those darlins? what happened?